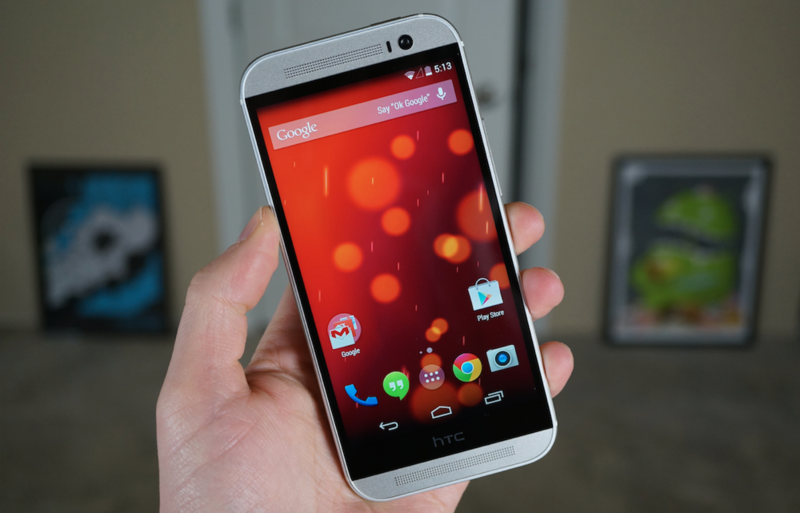 After running through a quick unboxing of the HTC One (M8) Google Play Edition, we spent some extra time cruising around the software, seeing if Google or HTC had left any of HTC’s goodies behind in the stock build of Android 4.4.2. Actually, we really just wanted to figure out the Duo Camera and if it really worked, since Google is advertising it as working in its Google Play listing for the phone. Thankfully, it does. But there are other little leftovers as well that are worth noting. As far as the Duo Camera goes, HTC left their photo editor behind, so that you can use UFocus and their gimmicky 3D wobbler thing. The rest of their filters and editing tools are there as well, for the most part. The only way I’ve found to access this editor is if you swipe from inside the camera over to the photo viewer, then tap the edit button. Once tapped, you should be able to choose either the stock Photos editor or HTC’s. You’ll also find Motion Launch Gestures (one of our favorite features of the regular One (M8)), a toggle for BoomSound, and access to some of HTC’s app suite, like their TV app.